The daughter of Marthe Armitage, Jo Broadhurst is an artist and trained architect. 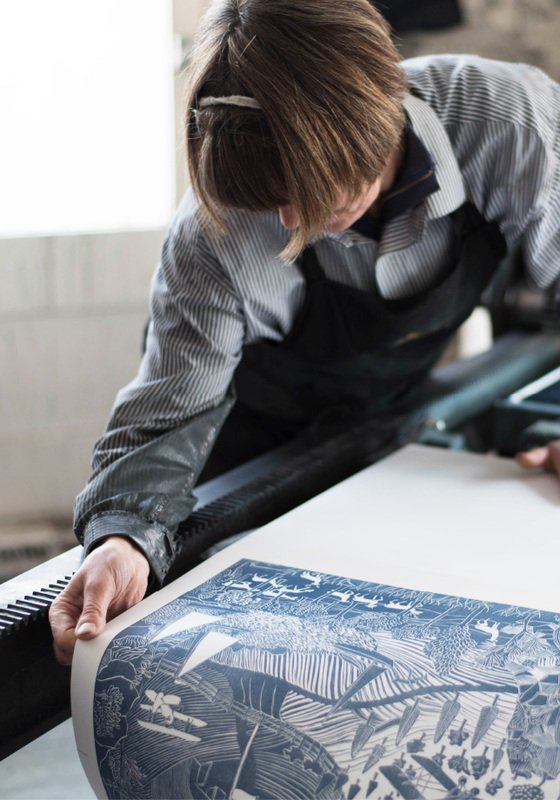 Having started to help her mother operate the litho press several years ago, she is now responsible for all of the company’s hand-printed output, including the precise mixing of colours to match specifications for each client. Jo is passionately committed to protecting the magic of Marthe’s designs through the quality of the printing. 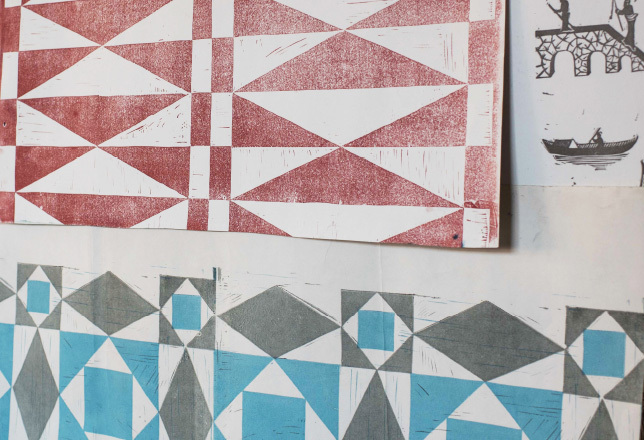 She has an instinct for the different properties of lino, ink, paper and fabric, and how they work together. This has been paramount in overseeing the company’s venture into contemporary digital printing and screen- printed complementary fabrics. 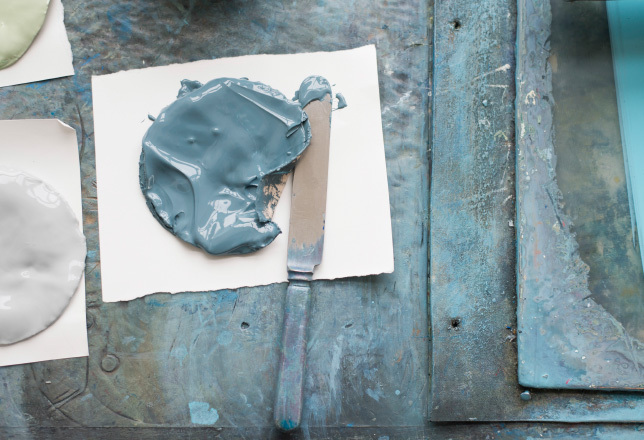 She is currently working on new designs of her own for Marthe Armitage Prints. Jo studied architecture at Manchester University, and has four children. 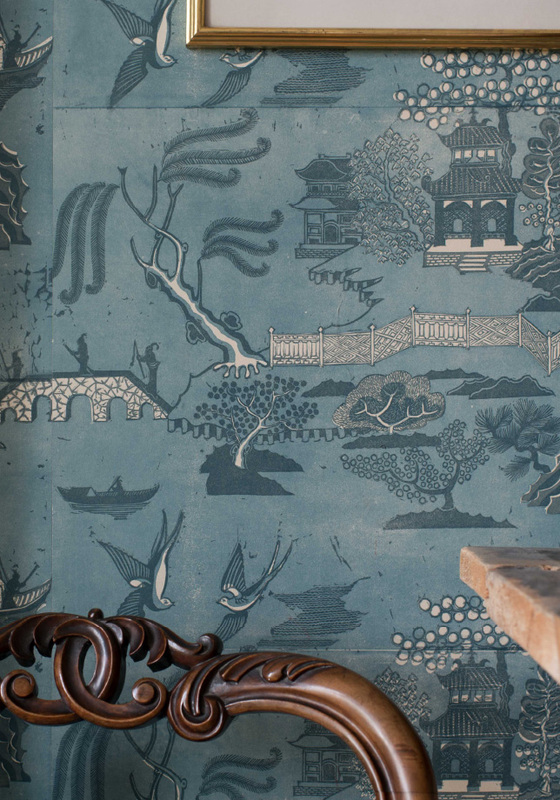 Her youngest son, Jacob, recently joined his mother and grandmother in the handmade wallpaper printing process, whilst also working on his own promising ideas in furniture design.